Description: Department of Politics and International Relations (DPIR), University of Oxford, UK is accepting applications from young high-flyers and mid-career professionals for the 12-week residential program that provides opportunity to study and find solutions for politics and international relations. Eligibility: Post-graduate candidates or degree in equivalent professional training with at least 10 years of experience in leadership roles, in state or central government, private sector, media and civil society, with English proficiency as assessed by a qualified English assessor can apply. Prizes & Rewards: The fellowship provides waiver in program expenses, including contingency grant, VISA application assistance, living expenses and flight expenses. Description: Centre for Applied Research and People’s Engagement (CARPE) invites applications from Independent Researchers and Small NGOs to run nature conservation projects for direct, tangible, long-term impact. The fellowship will fund such projects based on their social impact merits. Eligibility: Independent Indian researchers who are self-motivated and passionate about nature conservation. Small NGOs and conservations groups in India can also apply for this fellowship. Prizes & Rewards: Selected fellows and their projects will be funded by CARPE to the tune of ?200000 (2 Lakhs). Description: MPOWER Financing is providing scholarship opportunity for students to study at one of its 200+ partner universities of U.S. and Canada, which include all the Ivy League schools and other top schools such as USC, NYU, MIT, Columbia, UCLA, Penn, Michigan. Eligibility: The applicant must be 18 years old, accepted or enrolled at one of partner universities, and be a U.S./Canadian student visa holder. 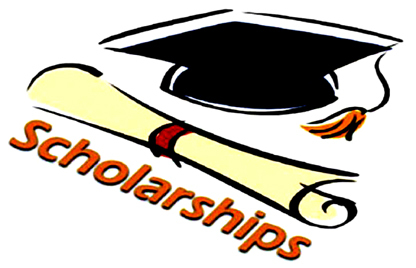 Prizes & Rewards: Scholarship worth USD 5000 is offered to the selected scholars. Previous Previous post: The Top 50 Executive MBA Programs In The U.S.